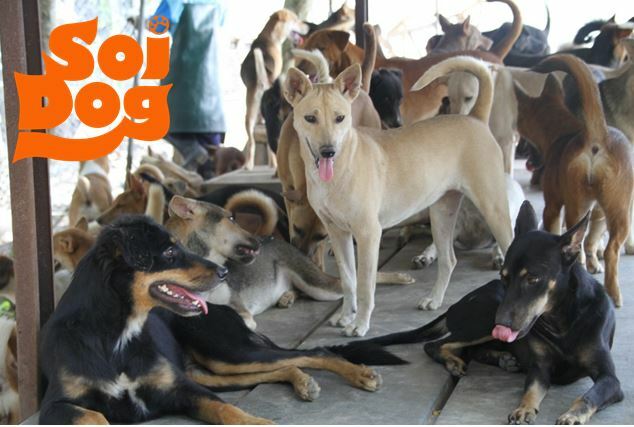 Thailand: Torkal and Cirrus – Just 2 of the New Residents at Soi Dogs. Above – Torkal on arrival at Soi. Torkal is just one example of the animals you can read about on our Facebook page. 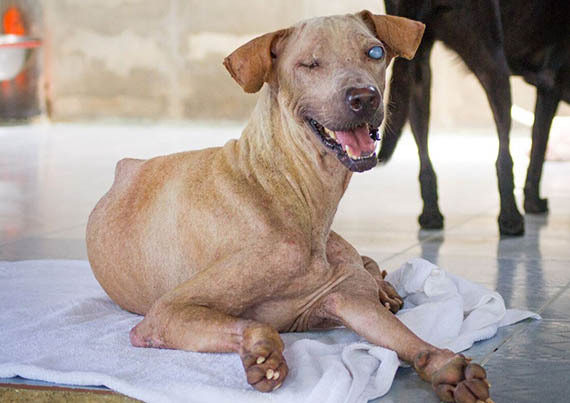 At the age of about 6 years old, he was found blind and living on the streets. Who knows how he managed to get by for so long? Click here to be taken to our Facebook Page and join the millions of supporters who help animals like him every day. Because of people like you, we were able to take Torkal in. He is now learning to trust after living for years in fear. He is adjusting to his new life and getting used to the smells of his surroundings. By liking our Facebook page, you can read about more animals like him and help those who need you the most. 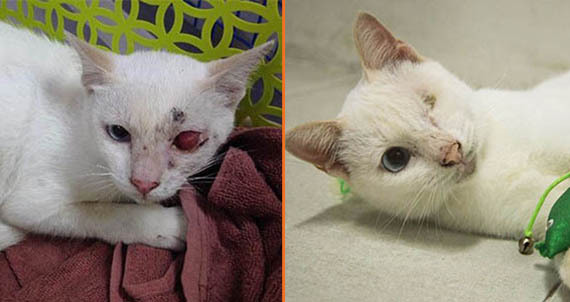 We also share the stories of many of the cats helped by people like you, such as Cirrus, who was found with a horrendous wound on his eye. 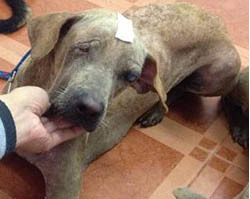 It was seriously infected and it was clear that Cirrus was in severe agony when we found him. Sadly, it was too late to save his eye and it had to be removed. Cirrus was featured on our Facebook page, and thanks to people like you, he has now been adopted and will leave shortly for his new home. By simply clicking ‘like’ on our page, you will hear about many of the rescue cases here at the shelter and will be kept up to date with how your support is saving the lives of vulnerable animals across Thailand. Simply click here to join us on Facebook now. Thank you for everything you have already done to help the dogs and cats of Thailand.